What is Stock lot or Surplus Garments? In some case buyers cancel the shipment, these cancel garments are generally known as stock lot or export surplus garments. Besides, leftover garments those remain in factory are called stock lot or surplus garments. Almost all factories sell their stocks garments at very cheap price compared to actual price. What’s the reason of surplus garments or stock garments? Generally a factory extra cutting of garment 2.5% – 5% to fulfill the total order quantity. After completed shipment of garments as per order quantity. The Extra garments are called stock lot or surplus garments. Some of garments are rejected by buyer’s representative during inspection. The main cause of rejection the quality does not meet the buyer requirement as per order. These garments is also known as stock lot or surplus garments. Cancel Shipment: The main reason of stock lot garments is shipment cancel. It may be happen due to delay of shipment as per pre scheduled. Sometimes buyers cancel the shipment when the garment does not meet the requirement as per ordered specification. The main benefits of surplus or stock lot garments price. The price is so cheaper. Now a day it’s a profitable business. You will get ready products designed by popular designer. No cost for planning, design etc. No need extra time. The main problems of surplus or stock lot garments mismatch of ratio. Most of the products have no accurate size or color ratio. In aspect quality stock garments never fulfill. In spite of some disadvantage its popular and profitable business for small business. But when you buy stock garments you have to notice some points. please send mail , if you have surplus or stock lot garment for men in cheapest price. garment must be branded . i am planning to start new surplus retails men cloth show room..can you please send me the details. Information on the website is quite useful, thanks. I am settting-up a business of Jeans. Please send me details of what is available and price. Also help with the process of importing the garments from you to India. i am planning startup this business in my locality wher i can buy these in bulk and sell them locally. what do i need to do start this. do you you provide any franchise services. 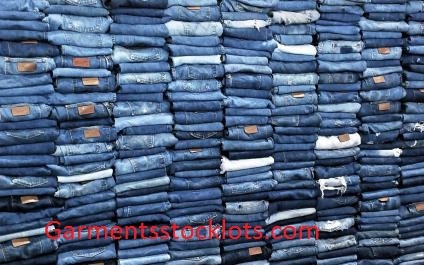 I am doing the garment business in Gurgaon, please provide me the detail of surplus stock you have in jeans, ladies and man top, t-shirts, lower and other products. We need these products on monthly basis. We wants to set-up the business with you on regular basis. 9427873035 i my what’s number. Hi Am starting up the business, where i can buy in lot and sell it locally. please do give me some details of the products what you handle. I am starting my new venture of readymade garments for Male Female and Children. please send me the details about the material available with size and rates in lot surplus. I am doing the garment business in RATNAGIRI,9225601143 this is my whats app number, please send me the detail of surplus stock you have in jeans, ladies and man top, t-shirts, lower and other products. We need these products on monthly basis. we are wholesale garment dealer since last 20years in domestic. pl send us regular details for every segment of garments to deals. Please leave your message on our mail surpulsgarments@gmail.com and get in details about garments stock lots rate.